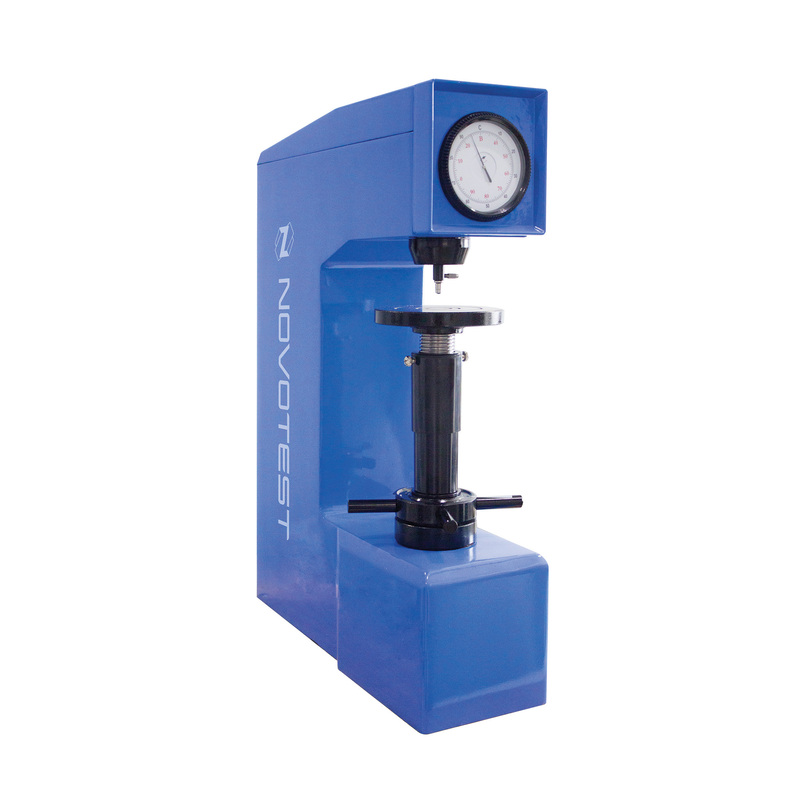 Analog Rockwell hardness tester TB-R implements direct resistance to indentation under Rockwell method of hardness testing in accordance with ISO 6508-2 and ASTM E18. The metal hardness testing method is based on the testing samples of resistance to indentation. 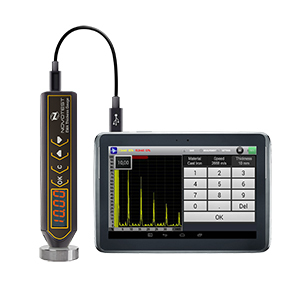 Rockwell hardness tester TB-R is reliable; also, it is very easy in operation and servicing. 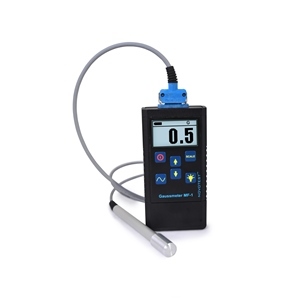 Operator can directly see the result of hardness measuring on the tester dial. Rockwell hardness tester TB-R is a stationary type of hardness testers on a rigid rack. 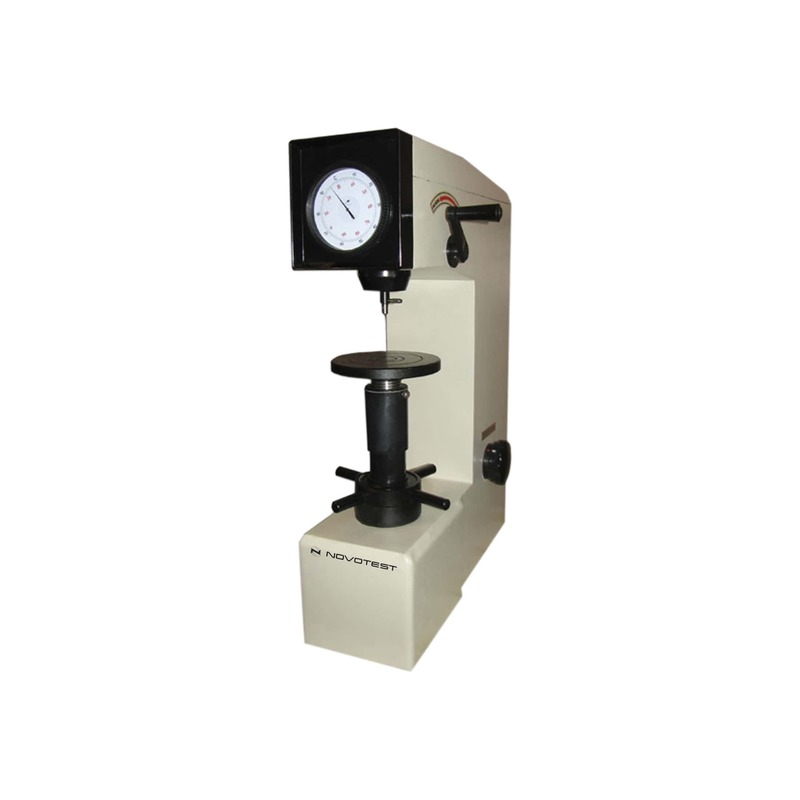 Rockwell hardness tester TB-R allows user to measure the hardness value by three hardness scales (HRA, HRB, HRC) with loads of 60, 100 and 150 kgf. The device has a diamond tip as a cone with 120 degrees of the cone apex angle and the bead size of 1/16 inch (1.5875 mm). 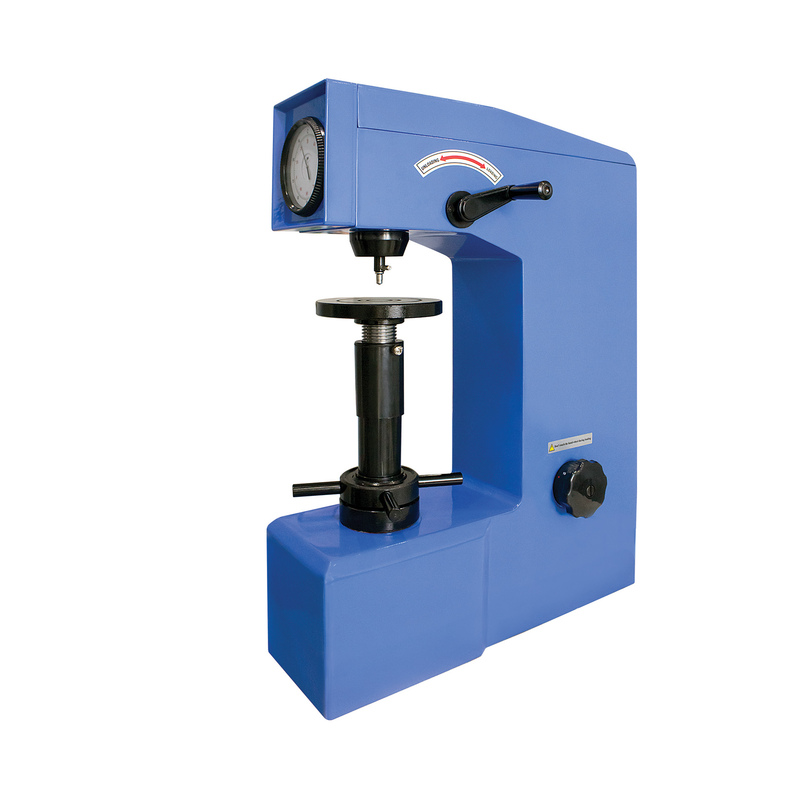 Rockwell hardness tester TB-R is equipped with tables which are used for different types of the objects. It supplies with large and small flat tables, and V-shape anvil. 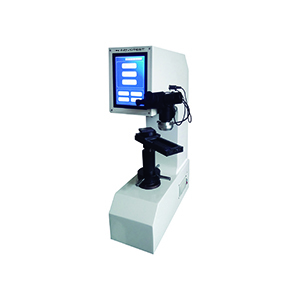 In addition, Rockwell hardness tester TB-R also is equipped with three Rockwell hardness standard blocks for checking or calibration of the tester. The range of measurements can be varied from 20 HR to 100 HR (it is depending of scale). The design features of the device allows user to tests objects with dimensions up to 17 cm by vertically and up to 13.5 cm by horizontally, maximum height of testing objects – 200 mm.